A new interchange connecting the Hanshin Expressway Route 2 (the Yodogawa Sagan Route) to the Hanshin Expressway Route 3 (the Kobe Route) has a tall pier composed of four steel pipes connected with steel shear links. This type of earthquake resisting element was used on the new East Bay Bridge that we looked at last month. The shear links are supposed to yield before the columns, reducing the column displacement and absorbing energy during the earthquake. However, these pipes are off the shelf with assorted imperfections (see photo above). The shear links are composed of end pieces that are permanently attached to the pipes and a center piece that is meant to be damaged and replaced after the earthquake. It's an interesting concept but perhaps with too many parameters that could modify the intended behavior. Another interesting thing about this interchange is all the extra bent caps and columns that aren't currently being used. 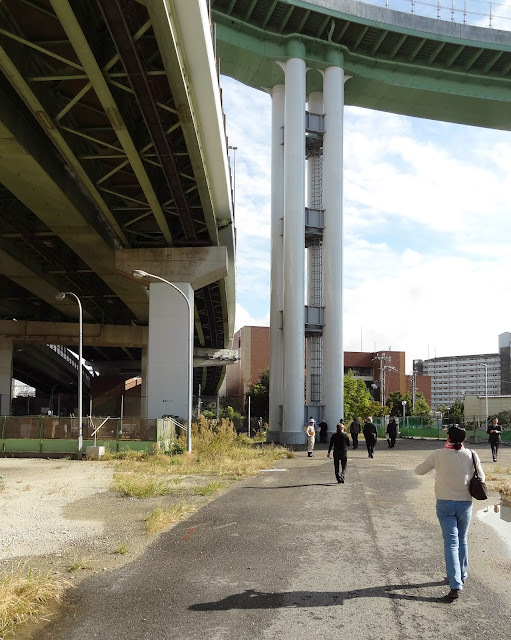 It looks like eventually this interchange will become as complicated as yesterday's Matsubara Junction. 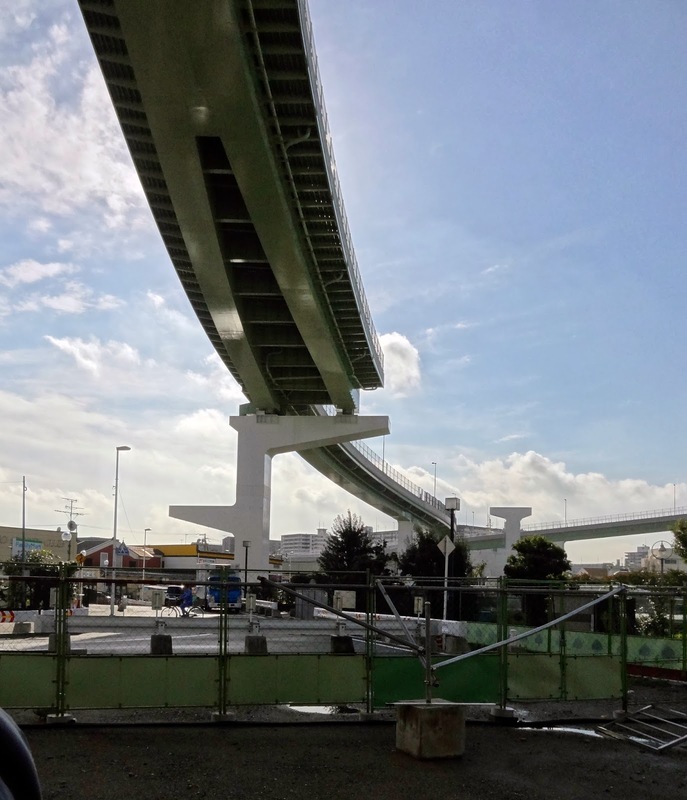 Osaka Prefecture, Japan's Bridges: Hanshin Route 2 to Route 3 Interchange by Mark Yashinsky is licensed under a Creative Commons Attribution-NonCommercial-NoDerivs 3.0 Unported License.